Happy Holidays from Mac's Convenience Store! 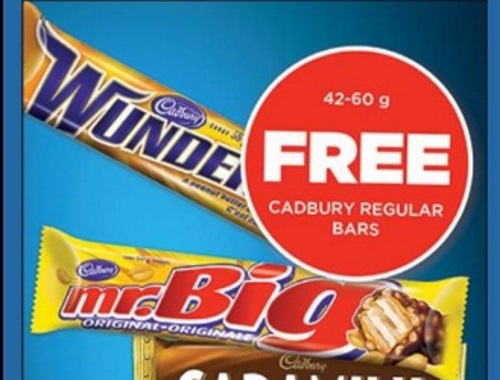 Get a coupon for a Free Cadbury regular bar (42-60g) at any Mac's Convenience Store or Cricle K store in Ontario! One coupon per person. Offer is valid until January 1, 2017. To get the offer, text YUMMY to 33322 and you will be texted back a link with the coupon to show in store. No link available for this one, just follow the directions above to get this offer!